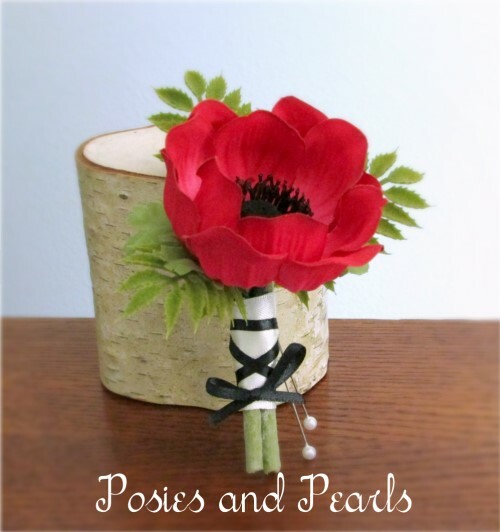 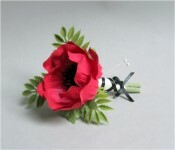 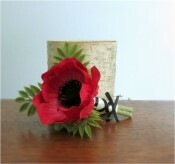 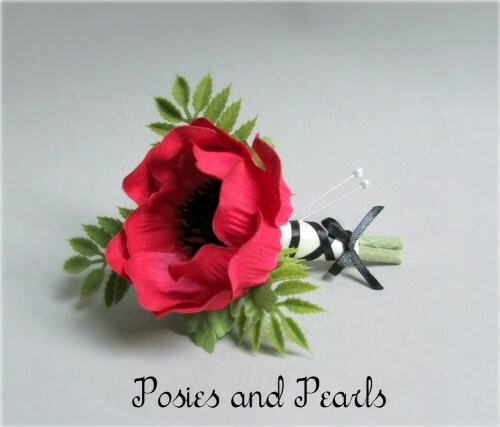 This elegant boutonniere feature a single vibrant red anemone flower. 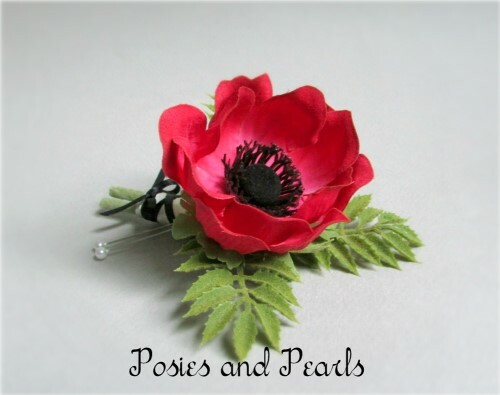 Accents of dainty green fern surround the bloom and a combination of ivory and black satin wraps the stems. 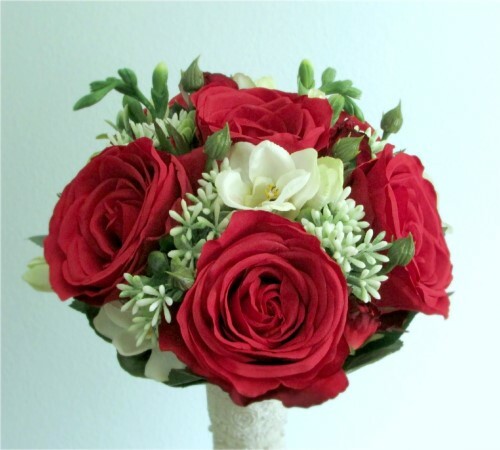 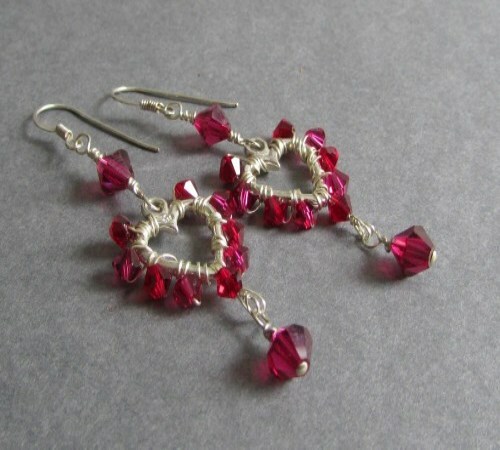 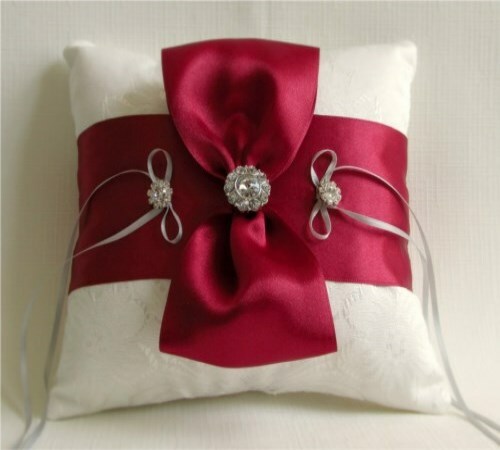 The classic color combination and simplicity of design makes them ideal for a modern event! *The stem wrap can easily be changed to white and blue for a patriotic or military inspired wedding.